Ms. Manning's practice focuses on litigation and appellate advocacy. She has extensive experience handling complex claims, including defending professionals in claims of professional negligence. 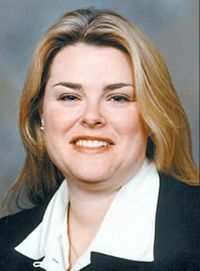 As part of her practice, she appears in both state and federal courts and argues regularly in the Appellate Division of the Superior Court of New Jersey. Ms. Manning provides Expert Commentary for Lexis Nexis on civil procedure and insurance issues. She has also authored chapters for Lexis Nexis Practice Guides on Commercial and Personal Injury Litigation. Ms. Manning was selected as one of New Jersey Law Journal's 2007 "40 Under 40." She has been a featured speaker at seminars presented by New Jersey's Institute of Continuing Legal Education and the New Jersey State Bar Association. She is a Trustee of both Trial Attorneys of New Jersey and the Morris County Bar Association, and appointed to the editorial board of the American Bar Association's Professional Liability Litigation Committe newsletter.